In 1958, Ludwig Merckle GmbH in Vienna was founded as the first foreign branch of the German Merckle Arzneimittel GmbH. This was renamed ratiopharm Arznei­mittel Vertriebs-GmbH 40 years later. In the years that followed, the company specialised in the marketing and sales of generic medication – copies of original pharmaceuticals already available made with identical active substances – as well as over-the-counter medicinal pro­ducts (OTC medicines). 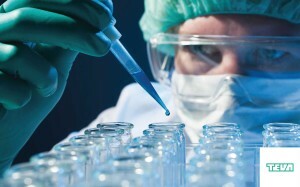 Biotechno­logi­­cally produced medicines (biologicals) for the supportive therapy of cancer pa­­­tients have also been in the range since 2009. The ratiopharm Group was taken over by TEVA Pharmaceutical Industries in 2010. TEVA-ratiopharm is one of the country’s ten largest pharmaceutical companies with about ninety employees in 2012. The TEVA corporation, which specialises in the development, production and sale of generics and innovative medications, the latter for the central nervous system, oncology, pain therapy and gynaecology, is one of the 15 largest pharmaceutical companies in the world and is the market leader in the medicinal treatment of multiple sclerosis. Since the acquisition of the Cephalon Group in 2011, TEVA-­ratiopharm in Austria has been offering generic brands and popular OTC products such as ratioDolor®, as well as a wide range of original products, making it one of the leading pharmaceutical cong­­lomerates in Austria.